“1. Whether on the facts and in the circumstances of the case, the Income Tax Appellate Tribunal is right in law in dismissing the appellant’s appeal and allowing the Revenue’s appeals concerning the exemption u/s.10(29) of the Income Tax Act? 2. Whether on the facts and in the circumstances of the case, the Income Tax Appellate Tribunal is right in Law in not noting that the Hon’ble Supreme Court had referred the identical issue to a larger Bench of the Hon’ble Supreme Court for its consideration on account of conflicting decisions of two benches of the Hon’ble Supreme Court? 3. Whether on the facts and in the circumstances of the case, the Income Tax Appellate Tribunal is right in Law in not holding that the appellant is engaged in warehousing activities as a result of which, all its incomes are directly derived from the same, thus being eligible for exemption u/s.10(29) of the Income Tax Act? 3. As far as T.C. (A)No.2548 of 2006 is concerned, we find that the said Tax Case was filed against the order of the Tribunal in I.T.A. No.1377/Mds/93 relating to the assessment year 1991-92, which related to the claim of deduction on the entire expenditure incurred by the assessee. Except for giving I.T.A. Number, the grounds taken in T.C. (A)No.2548 of 2006 are same as in T.C. (A)No.2547 of 2006; that when the issue raised in T.C. (A)No.2548 of 2006 before the Tribunal in I.T.A.No.1377/Mds/93 are not with reference to the sustainability of the income and the claim of exemption, the grounds raised being not relevant for consideration by the Tribunal, we do not find any justifiable ground to interfere with the order passed by the Tribunal and nevertheless, we may note that the Assessing Officer had deducted proportionate expenses and granted relief thereon. 4. Considering the order that we are passing today in other appeals relating to the claim of exemption under Section 10(29) of the Income Tax Act, in any event, no serious prejudice could be caused on the claim of expenditure too. 5. The assessee is a Government of Tamil Nadu sponsored undertaking. The assessee was formed originally under the Agricultural Produce (Development and Warehousing) Corporations Act, 1956. The said Act was repealed and in its place, the Warehousing Corporations Act, 1962 (Central Act 58 of 1962) was formed. With the repealing of the 1956 Act, by the Warehousing Corporations Act, 1962 (Central Act 58 of 1962), the Corporation thus formed under the Tamil Nadu Warehouses Act, 1951 continued its existence as a statutory Corporation constituted under the above-said Act. 7. The functions of the State Corporation are almost on similar lines as that of the Central Warehousing Corporation. There is no dispute on the fact that the assessee is an authority constituted under law to satisfy one of the requirements of Section 10(29) of the Income Tax Act, 1961. As is evident from a reading of Section 24 of the Warehousing Corporations Act, the State Warehousing Corporation arranges facilities for acquiring and building godowns, providing warehousing facilities, storage and transport of agricultural produce, seeds, manures, fertilizers, agricultural implements and notified commodities to and from warehouses, apart from acting as an agent of the Central Warehousing Corporation or of the Government for the purposes of the purchase, sale, storage and distribution, of agricultural produce, seeds, manures, fertilizers, agricultural implements and notified commodities. 8. In the decision Union of India v. U.P. State Ware Housing Corpn. 187 ITR 54/ 53 Taxman 581 (SC), the Supreme Court held that the State Warehousing Corporation established under the Warehousing Corporations Act, 1962 is an authority constituted under the law for the purposes of the exemption under Section 10(29) of the Income-tax Act, 1961. After noting Section 24 (d) of the Warehousing Corporations Act, 1962, the Supreme Court held that the income of the assessee/Warehousing Corporation from letting of godowns and warehouses was exempt from tax under Section 10(29) of the Income-tax Act, 1961. The Supreme Court held that the marketing of commodities on behalf of the Central Warehousing Corporation as an agent for the purpose of purchase, sale, storage and distribution of agricultural produce etc., would be activities facilitating marketing of commodities. Affirming the view of the Allahabad High Court in U.P. State Warehousing Copn. v. ITO  94 ITR 129 (All. ), the Supreme Court held that the income earned by the Warehousing Corporation would be exempt under Section 10(29) of the Income Tax Act. 9. In the decision Orissa State Warehousing Corpn. v. CIT  237 ITR 589/103 Taxman 623, the Supreme Court, once again, considered the entitlement of the State Warehousing Corporation for exemption under Section 10(29) of the Income Tax Act in respect of letting of godowns or warehouses for storage, processing or facilitating marketing commodities. The Supreme Court further held that if letting of godowns or warehouses is for any other purpose, the question of exemption would not arise. Referring to Section 10(29) of the Income Tax Act, the Apex Court felt that the language in Section 10(29) using the phrase “any income derived therefrom'” is restrictive in its application to income derived from letting out of godowns or warehouses for storage, processing or facilitating marketing commodities. Having regard to the language used, the Supreme Court held that exemption would arise pertaining to that part of the income derived from the letting of godowns or the warehouses. 10. The issue raised in the above-said reported decision was with reference to interest on fixed deposits. Dismissing the assessee’s appeal, the Supreme Court affirmed the view of the High Court that interest on fixed deposits was not exempt under Section 10(29) of the Income Tax Act. 11. Subsequent to this decision, the Apex Court, in the decision reported in CIT v. Gujarat State Warehousing Corpn. Ltd.  245 ITR 1/ 116 Taxman 5 referring to the decision U.P. State Warehousing Corprn. (supra) held that considering the different view expressed in the decision Orissa State Warehousing Corpn. case (supra), particularly with reference to interest income, viewed that there was an apparent conflict between these two decisions and the Apex Court thought it fit to place the matter for consideration before a Larger Bench. Thus, the decision Orissa State Warehousing Corpn. case (supra) and U.P. State Warehousing Corpn. case (supra) came up for resolution before the Larger Bench. In the decision CIT v. Gujarat Warehousing Corpn. Ltd.  248 ITR 12/ 113 Taxman 112 (SC), the facts therein were that the income, on which the assessee therein claimed exemption, related to interest income. miscellaneous income, staff quarters rent and supervision charges. We find that the question raised before the Supreme Court related to rejection of an application under Section 256(2) by the High Court, filed by the Department, to direct the Tribunal to state a case before the High Court as to whether the claim of the assessee for exemption under Section 10(29) was sustainable in law. The Supreme Court pointed out that there was no conflict between the decisions Orissa State Warehousing Corpn case (supra) and U.P. State Warehousing Corpn. case (supra), but, however, without expressing any final opinion, the Apex Court directed the High Court to call for a statement of case on the questions raised. Thus, the Constitution Bench after expressing the view that there was no conflict between the two decisions U.P. State Warehousing Corpn. case (supra) and Orissa State Warehousing Corpn case (supra) and restored the matter to the High Court for its consideration. The decision U.P. State Warehousing Corpn. case (supra) related to the income of the U.P. State Warehousing Corporation from letting of godown and warehouses, particularly with reference to Section 24(d) of the Warehousing Corporations Act, 1962, which is on similar terms as that of Tamil Nadu provisions. 12. The decision Orissa State Warehousing Corpn case (supra) is with reference to the income earned on ‘facilitating the marketing of commodities’, which involved letting of warehouses, interest income dealing in agricultural produce on behalf of Food Corporation of India/State Government. We further find at page 601 of the judgment, the income considered therein related to warehousing charges, administrative overhead being surplus of recovery over cost on procurement activities on behalf of Food Corporation of India/State Government, fumigation service charges, interest and miscellaneous income. After noting the language of Section 10(29), the Supreme Court pointed out that the exemption under Section 10(29) is categorical in its language and the exemption is applicable only by the circumstances as envisaged in the Section. If the letting of godowns or warehouses was for any other purpose other than the stated purpose or the income is derived from any other source, then, the income could not possibly come within the ambit of Section 10(29) of the Income Tax Act and interest income on fixed deposits would not qualify for relief under Section 10(29) of the Income Tax Act. As regards supervision charges, fumigation service charges, miscellaneous income and administrative overhead charges are concerned, the Supreme Court held that the same would qualify for exemption under Section 10(29) of the Income Tax Act. 13. Thus, the sum and substance of the decisions referred to above are that any income derived from the nature of activity specified in Section 10(29) of the Income Tax Act, namely, letting of godowns and warehouses for storage, processing, facilitating the marketing of commodities are qualified for exemption under Section 10(29) of the Income Tax Act. 15. Going by the above-said decisions and provisions, if any income earned by the assessee is not one derived from the letting of godowns for the stated purpose of storage, processing or facilitating of marketing of commodities and has no direct nexus to the activities, then the question of granting exemption in respect of those income does not arise. Income earned incidental to the storage, processing or facilitating of marketing of commodities, hence, as per the decisions referred to above, would qualify for exemption under the provisions of the Income Tax Act. 16. In the decision rendered in I.T.A.Nos.50-61 of 2011, dated 19.10.2011, Karnataka State Warehousing Corpn. v. Dy. CIT  18 taxmann.com 10/204 Taxman 154 the Karnataka High Court considered the income earned from letting of godowns, fumigation charges, disinfestation charges and supervisory charges collected by the assessee-corporation from its customers to whom warehouse was let out for purpose of storage, processing and facilitating marketing of commodities. Applying the decision Orissa State Warehousing Corpn. (supra), the Karnataka High Court held that income earned on storage, processing or facilitating marketing of commodities are different forms of activities, which are entitled for exemption and letting of godowns or warehouses for any other purpose other than facilitating the marketing of commodities, would not qualify for exemption as per Section 10(29) of the Income Tax Act. After referring to the Supreme Court decision, the High Court referred to the decision rendered by the Rajasthan High Court CIT v. Rajasthan State Warehousing Corpn. 210 ITR 900/75 Taxman 66 and allowed the appeal filed by the Corporation. 17. We are in respectful agreement with the decision of the Karnataka High Court referred to above. We may also point out that in the decision Addl. CIT v. Karnataka State Warehousing Corpn. 125 ITR 136/ 5 Taxman 54 (Kar. ), the Karnataka High Court held that the State Warehousing Corporation was an authority constituted by law for the marketing of commodities and the income earned from letting of godowns or warehousing for storage, processing or facilitating of marketing of commodities was exempt under Section 10(29) of the Income Tax Act. The High Court also held that the expression “marketing of commodities” must not be construed in a narrow sense and it includes every activity of purchase, selling and distribution, as also warehousing. 18. We may also point out herein that when we go through the provisions of the Warehousing Corporations Act, 1962, it is evident that the said enactment was made to provide for the incorporation and regulation of Corporations for the purpose of warehousing of agricultural produce and certain other commodities and for matters connected therewith. The Scheme of the Act referred to Central Warehousing Corporation, State Warehousing Corporation, that these institutions are entrusted with the task of building of and providing scientific storage facilities in different parts of the Country. Considering the difficulties envisaged in the earlier enactment, the Warehousing Corporations Act, 1962 (Central Act 58 of 1962) was made. Thus, going by the purpose of the constitution of the Warehousing Corporations, the activities of marketing as envisaged in Section 10(29) of the Income Tax Act has to be read in consonance with the object of the 1962 enactment. 19. Keeping this object and in the background of the above-said decisions, if we look into the order of the Assessing Officer, we find that the assessee, for the assessment year 1991-92, claimed the income earned from warehousing charges, supervision charges, fumigation charges, interest on advances to staff and other miscellaneous receipts, such as, tender form sales, contract registration fees, disposal of waster paper etc., dividend on shares, profit on sale of care and Dess receipts, as exempt under the Income Tax Act. 20. The Assessing Officer, however, held that other than the income earned on warehousing charges, the rest of income were liable for taxation. Aggrieved by this, the assessee went on appeal before the Commissioner of Income Tax (Appeals). Following the order passed in the year 1989-90, the Commissioner of Income Tax (Appeals) allowed the assessee’s appeals. However, on the taxability of dess receipts and the expenditure claimed, the assessee’s appeal was rejected. Aggrieved by this, the assessee went on appeal before the Income Tax Appellate Tribunal. So too, the Revenue on the ground of relief granted to the assessee. Thus, the Revenue preferred appeals before the Income Tax Appellate Tribunal for the assessment years 1991-92, 1992-93, 1993-94, 1996-97 and 1997-98. 21. The Tribunal, by a common order, allowed the Revenue’s appeals following the decision of the Tribunal in the assessee’s own case holding that the income derived by the assessee from house property, interest on bank deposits, interest on loans and advances made to members of staff, supervision charges, fumigation receipts, weigh bridge receipt, sale of tender forms etc. would not be exempt under Section 10(29) of the Income Tax Act. The Tribunal pointed out that the earlier decision of the Tribunal was in consonance with the decision of the Supreme Court Orissa State Warehousing Corpn. case (supra). 22. We may find that in respect of the appeal for the assessment year 1993-94, the assessee’s appeal relating to the claim on interest on fixed deposits and dividend income was also considered and following the decision Orissa State Warehousing Corpn. case (supra), the assessee’s appeals were rejected by the Tribunal. The decision is the same as regards the other assessment years also. Thus, the assessee is on appeal before us. 23. As far as the claim of exemption on income from house property, from bank receipts, income on loans and advances made to the members of the staff are concerned, the said issue is directly covered by the decision of the Supreme Court Orissa State Warehousing Corpn. case (supra) as well as U.P. State Warehousing Corpn. case (supra), as the income not being derived from the activities enumerated in Section 10(29) of the Income Tax Act, no exemption would be granted. 24. Even though learned counsel appearing for the appellant strenuously contended that being a Warehousing Corporation and an authority constituted in law, the phrase ‘any income derived’ should not be limited or restricted in its scope, yet, in the light of the decision of the Supreme Court, we have no hesitation in holding that income from house property, income on bank deposits, income on loans and advances made to the members of the staff, not being derived as income from letting of godowns or warehouses for storage, processing and facilitating the marketing of commodities, the question of granting exemption under Section 10(29) of the Income Tax Act does not arise. To that extent, we agree with the decision of the Tribunal. So too, the interest on bank deposits and dividend income. However, as regards the supervision charges, fumigation service charges, weigh bridge receipt, income from sale of tender forms and interest collected on belated refund of advances are concerned, we find that these are income derived from such incidental activities relating to warehousing of the produce for storage, processing or facilitating the marketing of commodities. Thus, with the income having direct nexus to the activities, we hold that the assessee would be entitled for claim of exemption under Section 10(29) of the Income Tax Act. The claim of the assessee in this regard is fully supported by the decisions of the Supreme Court referred to above. Consequently, we have no hesitation in setting aside the order of the Tribunal to that extent. 25. In the circumstances, while dismissing T.C. (A)No.2548 of 2006 on the ground that the questions raised have no relevance to the issue decided by the Tribunal, we partly allow the appeal in T.C. (A)Nos.2547, 2549, 2550, 2551 and 2553 of 2006. 26. As far as T.C. (A)No.2552 of 2006, relating to the assessment year 1993-94, arising out of the assessee’s appeal relating to interest income on fixed deposits and dividends, is concerned, we reject the assessee’s appeal, thereby confirm the order of the Tribunal. Accordingly, T.C. (A)No.2552 of 2006 stands dismissed. 27. T.C. (A)Nos.2339, 340 and 965 of 2007 relate to the assessment years 2000-2001, 2001-2002 and 2002-2003 respectively. In respect of the above-said assessment years, the assessee has also preferred T.C. (A)Nos.338, 964 and 965 of 2007 as against the order of the Tribunal rejecting the assessee’s appeal filed against the rejection of the petitions filed under Section 154 of the Income Tax Act. The questions of law raised in all these appeals are one and the same and are no different from the questions raised in T.C. (A)Nos.2547 of 2006 batch. 28. As far as T.C. (A)No.338 of 2006 is concerned, the assessee claimed exemption in respect of income derived from warehousing charges, supervision charges, fumigation activities, weigh bridge receipts, dess activities, interest on staff advance, interest on bank deposits, miscellaneous receipts and profit on sale of assets. The claim of the assessee was rejected by the Assessing Officer and were held taxable. 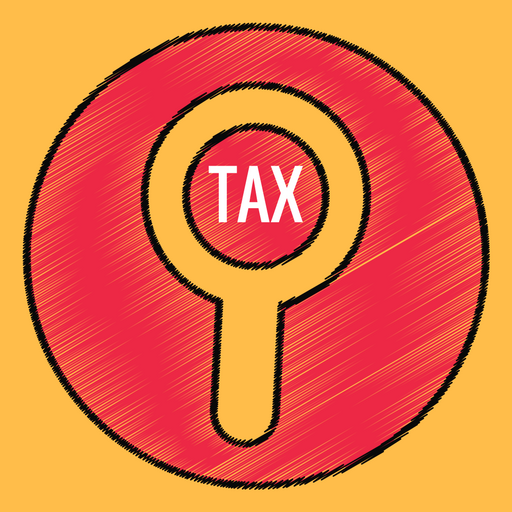 The assessee filed rectification petition under Section 154 of the Income Tax Act. As regards the claim on storage rent, supervision charges, income from fumigation activities and income from weigh bridge receipts, the assessee submitted that the withdrawal of exemption in respect of the above were contrary to Section 10(29) of the Income Tax Act and consequently, prayed for rectification. The Assessing Officer, however, rejected the said plea holding that the issue being a debatable one, the petition under Section 154 was not maintainable. Further, the assessee had not given the break-up of the warehousing charges and that the issue concerned in Section 143(3) were already subject matter of appeal before the Commissioner of Income Tax (Appeals); thus the rectification petition was dismissed. Aggrieved by this, the assessee went on appeal before the Commissioner of Income Tax (Appeals). Thus the assessment under Section 143 as well as the order under Section 154 were subject matter of appeals before the Commissioner of Income Tax (Appeals) for the assessment years, 2000-01, 2001-02 and 2002-03. The Commissioner of Income Tax (Appeals) held that the income arising from the receipts of warehousing, supervision, fumigation and weigh bridge were exempted under Section 10(29) of the Income Tax Act. Based on the earlier year orders, the Commissioner of Income Tax (Appeals) disposed of the appeals in favour of the assessee. 29. Aggrieved by this, the Revenue went on appeal before the Income Tax Appellate Tribunal, which set aside the order of the Commissioner of Income Tax (Appeals). Aggrieved by this, the present appeals have been filed by the assessee. 30. As already considered in the appeals filed for the assessment years 1991-92 to 1997-98, the assessee is entitled to its claim of exemption on the income derived from warehousing charges, supervision charges, fumigation charges, weigh bridge receipts and sale of tender forms and interest collected on belated refund of advance alone; however, on the income from house property, income on bank deposits, loans and advances made to the members of the staff, interest on fixed deposits and dividend income, the assessee is not entitled to any relief of exemption under Section 10(29) of the Income Tax Act. 31. Thus, following the earlier orders passed in respect of the earlier assessment years in the preceding paragraphs, we partly allow T.C. (A)Nos.339, 340 and 965 of 2007. In view of the order passed in T.C. (A)Nos.339, 340 and 965 of 2007, the question of considering the same once again in the appeals filed against the rejection of Section 154 order arising in T.C. (A)Nos.338, 964 and 966 does not arise. However, for statistical purpose, T.C. (A)Nos.338,964 and 966 are allowed and the order of the Tribunal stands set aside. 32. In the result, T.C. (A)Nos.2547, 2549, 2550, 2551 and 2553 of 2006 and 339, 340 and 965 of 2007 are partly allowed; T.C. (A)Nos.338,964 and 966 are allowed and T.C. (A)Nos.2548 and 2552 of 2006 are dismissed. No costs. This entry was posted in Sec. 10(29) and tagged 363 ITR, In favour of Assessee, Madras High Court.